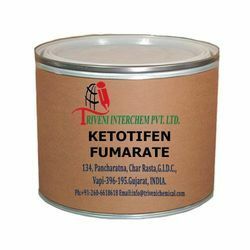 Leading Manufacturer of ketotifen fumarate from Vapi. Ketotifen Fumarate (34580-14-8) is solid. it is use in itching, antihistamine and histamine Industry.Ketotifen Fumarate (34580-14-8) is solid. it is use in itching, antihistamine and histamine Industry. Looking for Seasonal Conjunctivitis API ?